I love shopping but doing it during the holidays when the stores are over crowded is not my idea of "fun". I certainly do not enjoy standing in line, with a dozen or so shoppers ahead of me, waiting for my turn at the check out counter. Thanks to technology and the barcode scanners, my waiting time has been cut in half. Scanning the price tag instead of punching the numbers in the machine definitely speeds up the check out process and makes life easier for the clerk and the shoppers. 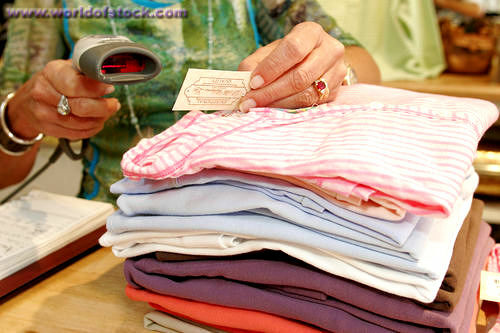 Ofcourse scanners save a lot of our time and helps us not to wait long in the line to make our shopping stuff get billed.